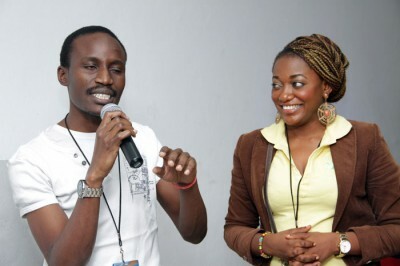 We were delighted to find out at the end of 2012 that founder Claudine Moore had been invited to sit on the board of Social Media Week Lagos (SMWLagos). SMW takes place simultaneously in several global cities such as London, Berlin, Buenos Aires, and we have been attending SMW in New York City since it began in 2009. 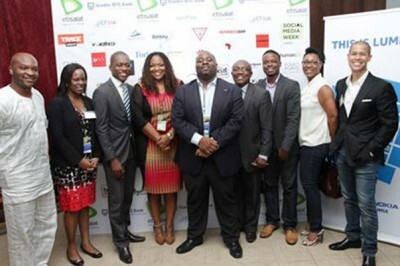 Being part of SMWLagos 2013, which represents the first time SMW has included an African city, was a huge honor and the agency was delighted to host one of the official SMWLagos events. 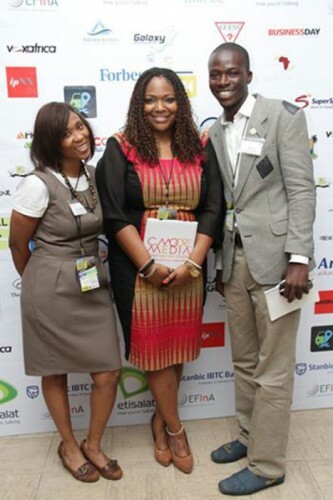 The theme of SMW 2013 was ‘Open and Connected’ and the SMWLagos events took place at venues across the huge metropolis that is Lagos, Africa’s biggest city and home to nearly 20 million people. 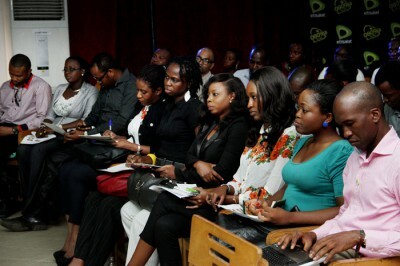 CMM hosted an event at Terra Kulture in Victoria Island themed ‘Social Media, Public Relations and Branding As Tools for Changing Global Perceptions and Aiding the Development of Africa’. 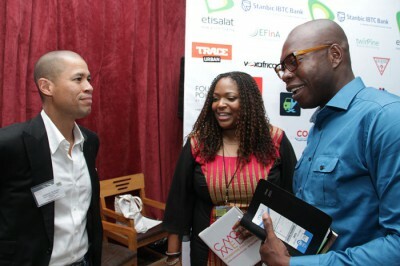 CMM secured the participation of top international reporters Vladimir Duthiers, CNN and Tomi Oladipo, BBC. 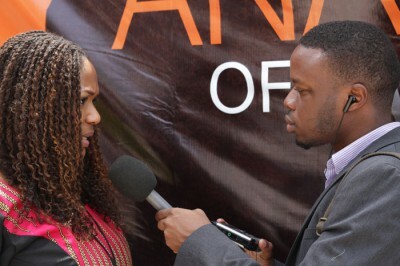 Regional Nigeria media was represented by NT Egbe Channels TV, and Daniel Obi, Business Day. In addition to media top Nigerian media, digital and marketing executives joined the panel enabling us to present a stellar line up of experts with varying perspectives, insights and opinions. The event was a huge success as we had a packed house with standing room only as we were overwhelmed to have over 300RSVP’s for the event. 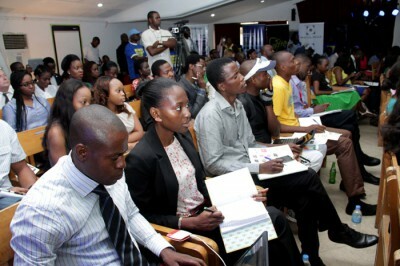 Take a look at these great images from the event. 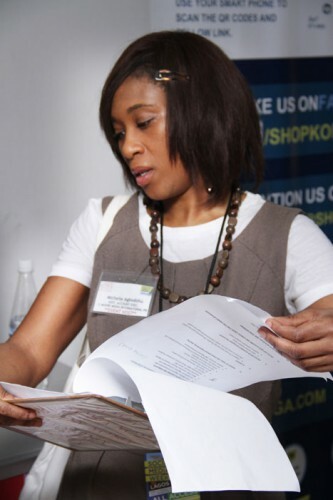 Michelle Agbodhu fully immersed in event planning. 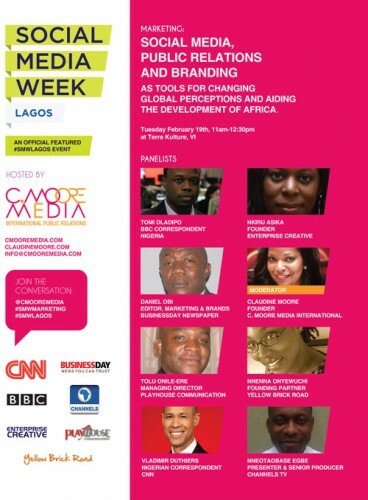 To keep informed of all things SMWLagos, visit, Like and follow….